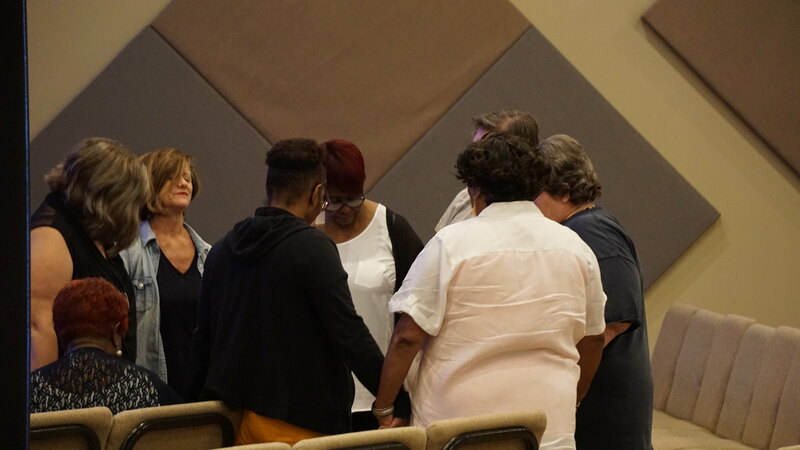 Once again, several different churches came together to represent UNITY at High Rock Church in Lexington North Carolina. ONE WORD can change a community, no longer walking with our eyes closed, but AWAKENING to the knowledge that without the SOVEREIGNTY OF GOD there is no hope. As our communities came together for that very call to break and pull down the walls of the VISION of God’s people pastors from different churches spoke these very topics. Prayer teams prayed before the ceremony, and great fellowship followed afterward. It is clear God has given the leaders of Without Walls a VISION that was revealed on this night. That there is a ministry for the community of Lexington, NC that will spread throughout the county and state. Without Walls, really means, no walls, as there are plans in the near future to have some of the “Night of Prayer” outdoors. Nothing is more glorious than to see everyone come together in a knowledge that there is only one God, One Savior, and One Blood. That is our drive and I passion as one people, who will pray here together here in this town of Lexington North Carolina. For we declare in Jesus name that this will be a city “WITHOUT WALLS COLLECTIVE”. Here are some video highlights of the evening. For more information about "Without Walls Collective" please visit our Facebook Page - click here..